Nasal tip contouring is a very popular procedure. Amazingly, but by changing such a small area of your nose, you can achieve a tremendous effect, transforming your face, and the price for such type of surgery will be much lower than for the complete rhinoplasty. The reasons for contacting a plastic surgeon can be the most diverse. Before you take such a serious step as an operation, you need to make sure that there is a real need to do that. A similar procedure can be performed under local or general anesthesia and last from half an hour to two hours. The initial stage of surgical intervention includes the separation of soft tissue from the nasal cavity, which allows the surgeon free the desired area for the further work.Further actions depend on the purpose of the contouring. By creating the desired shape, manipulations with cartilage tissues will be carried out, suggesting their movement or partial removal. The cost of eliminating these problems can be entirely different. limiting contact of the skin of the nose with ultraviolet. Refusal from attending solarium and sauna. Following the advices of the doctor, you can count on a very good result. Usually it is fully manifested in half a year, when the tissue is fully fused. Of course, the changes will be noticeable immediately after the edema comes out and the scars resolve, but it only makes sense to estimate the quality of surgical intervention no earlier than a year after. read opinions in the Internet. 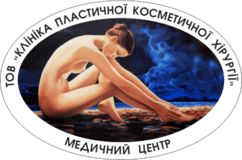 To make it easier for patients to navigate, the "Clinic for Corrective and Cosmetic Surgery" in the city of Poltava provides all the necessary information on the site. Here you can find photos and opinions, find out the price for certain correction and, even, ask a specialist. Oct. 24, 2018, 12:45 p.m.